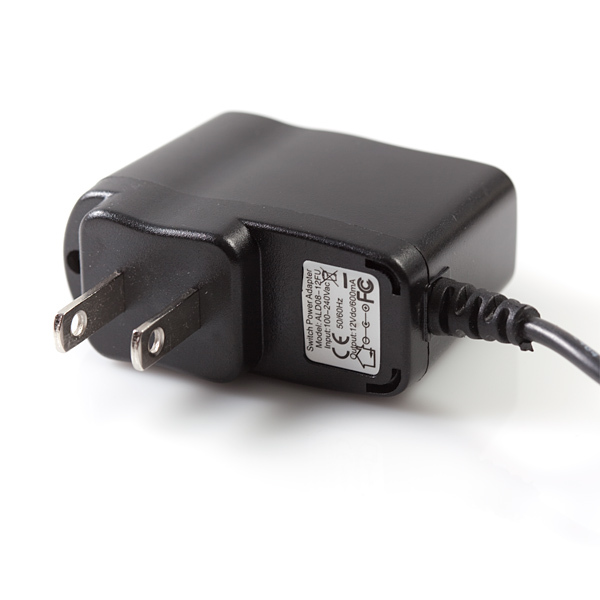 This is a high quality AC to DC 'wall wart' which produces a regulated output of 12VDC at up to 600mA. These are switch mode power supplies which means the output is regulated to 12V (no more 14V outputs! ), and the capable output current is much higher (600mA!). Can this work to power Arduino? Also can it be work ok, if tue socket outlet is 220 V? seems unreliable from the comments, think it will burn my house down if I let it run 24/7? Keep in mind we sell more than 50 of these a week (plus the 9V version), and the comments go back 4 years. That's a pretty good success rate if you ask me. Anything will have a few failures, but these are pretty solid. Is there a way to make this work with as little as 50 VAC input? You get what you pay for with this supply. Out of 12 I ordered, the first 3 have failed! One which left the AC tong still in the Hot side of the wall plug!!!! The other one's have lifted pads,cold solder joints, and solder blobs all over the boards. My arduino gets super hot when using this. Anyone know of a way to cut down on the heat? Actually, it only seems to happen when I am running the arduino on this power supply AND I have the most recent (as of October 2011) Ethernet shield attached. seems like something is wrong with the arduino or the shield. the power supply is probably fine. The maximum input voltage is 13V and its maximum operating power is 9W. That gives a maximum current draw of 9 / 13 ~= 0.7A (naively, but it'll do). The typical input voltage is 12V and its typical operating power is 5W. That gives a typical current draw of 5 / 12 ~= 0.42A. This power supply is rated for up to 0.6A. So in typical circumstances it should be fine. In atypical circumstances - think the very short transient current when clicking the EL inverter on - the power supply is asked for more current than it's rated for.. but usually they can withstand that just fine. Unfortunately there's no datasheet for this power supply to check that. Mine stopped working after few hours (connected on 230V to an duecimilanove and a nokia color lcd shield, multimeter gives 90 mA). Now it works few seconds before stopping again. Maybe it's just my multimeter (it is pretty old), but I measured the voltage coming out of one of these at over 16 volts! 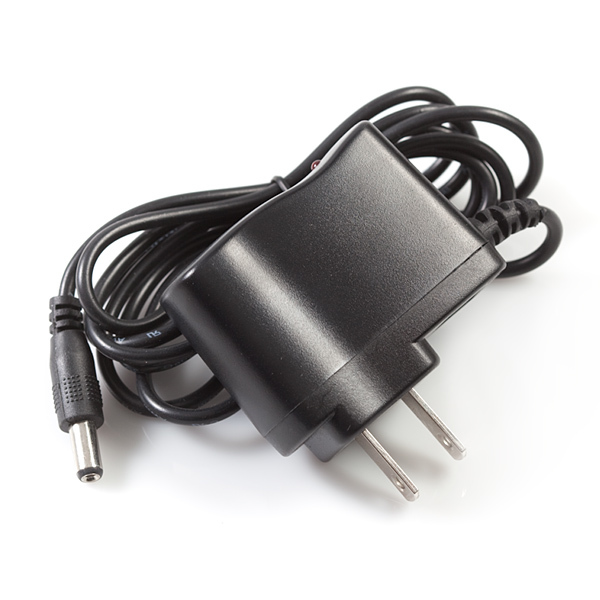 If you order one, make sure you check its output before plugging it in to your project. Is this power supply UL listed? If you're working with components that need 12V, I would recommend not using an LM7812 voltage regulator, but just a diode, capacitor, and inductor to filter what is needed. Not to mention if measured with a load it will probably drop a little. The first one was not outputting the proper voltage but SparkFun replaced it, no hassle. Price is right, Plug it in it simply works. What more could I want? Excellent power supply both for powering my 12V-required projects as well as for hacking apart and using for other random projects. Have a few of these and definitely will be getting more. It's hard to make a meaning review of a wall wart, it either works or it doesn't. I plugged it in and it delivered the promised voltage and made my project work. That's all I can ask for. Very stable output, nice form factor, feels like good quality. I noticed it gave 12.4 VDC on no load. Seems to work, hasn't gotten warm as far as I've noticed. Was a little annoyed that it has a red led that's on whenever it's plugged in, but you can put paint/tape over it. Great product, keeps a steady 12vdc, replaced a cheap power supply that burnt up my led rechargeable flashlight charger because it went up to 16vdc and was supposed to stay around 12vdc. It's small and takes up very little room. Also, a lot of my projects require an INTERNAL power supply and these units have a small screw to hold the cover on. This makes it easy for me to open and modify to remove the the 2 blades and rewire to my projects requirements. I have found that these units are very reliable and make good internal power supplies. I already knew about the annoying red power led, not mentioned in your description, but from a reviewer. So i was prepared w/ strips of elec tape. Cords were a little on the short side. But a volt meter confirms A regulated 12v output, so all good! After tab 'ing to my next line I lost the fun part of this story so I'll give ya the short. Her cords have been so aggressively bent the shell has almost cut it, it reeks of some sort of China approved mold oil, and rattles like ball bearings in an engine. 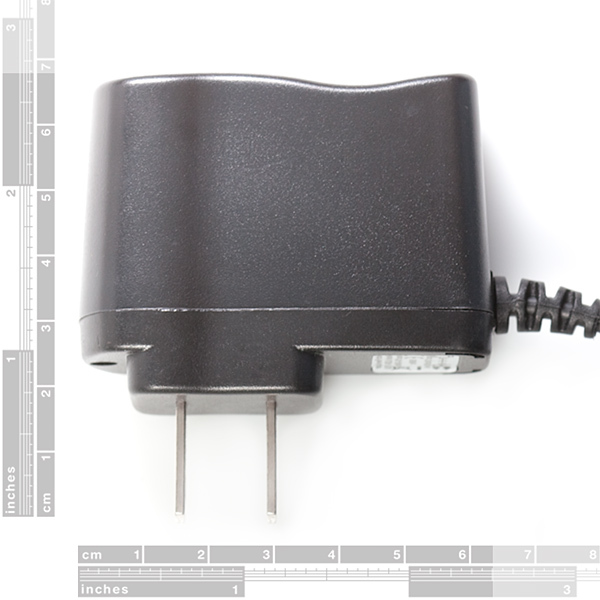 Sparkfun is placing the quality of a $1 adapter in the $5 range sad to lose their trust here. Now I'm not positive to buy any non branded items from them. While these are on the lower end of the quality and price spectrum for wall warts, what you're describing is definitely below our quality standards for this part. Please contact our technical support folks and we can make this right for you. Working but off by 1.3 volts. Oh, that's not right! Please contact our technical assistance team and they can help you with this.